SERVICE YOU CAN’T FIND ANYWHERE ELSE! Allow our staff to help you find exactly what you need to customize your vehicle. We have the experience and knowledge to understand your needs and locate the product desired. 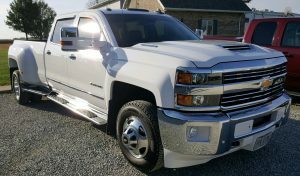 Ventvisors, Bugshields, Sunroofs, Mud Flaps, Windflectors, License Plate Covers, Chrome Door Handles, Hoodscoops, Hitch Covers, Grill Inserts, Floor Mats, and so much more! Ford, Chevy, Dodge and also foreign trucks. Tonneau covers, running boards, black and stainless nerf bars, fender flares, ventvisors, bugshield, hoodscoops, hitches, plastic bed liners, rubber bed mats, grill guards, grill inserts, bumper guides, bed caps, tool boxes, rocker panels, bed rails, license plate covers, floor mats, rear window graphics, mud flaps, tailgate locks, seat covers, etc. 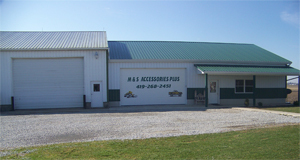 Recreational accessories – we specialize in aftermarket products for atv, offroad, dirt bike, snowmobile, watercraft and motorcycles. Here are just some of our products we carry. Oil filters, tires, oils, boots, helmets, snowmobile suites, jerseys and pants, riding gear, gloves, protective gear, goggles, sled accessories, windshields, runners, life vests, wet suites.